Highly efficient, environmentally friendly, and competitively priced, the KOZI Model 100 Pellet Insert is the most popular alternative heating source on the market today. 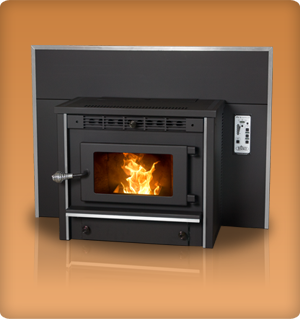 The KOZI Model 100 Pellet Insert is available as a freestanding stove or a fireplace insert. The Electric Start Kit is standard on all KOZI Model 100 Pellet Insert.